You are probably familiar with traditional dental bridges, which have been used since the early days of dentistry. They are a simple, effective, way to replace missing teeth. However, today’s high-tech dentistry has better options than ever before. Traditional bridges may be good, but for many patients, implant-supported bridges are better. The most common dental bridge includes a false tooth and two crowns, fused into a single unit. 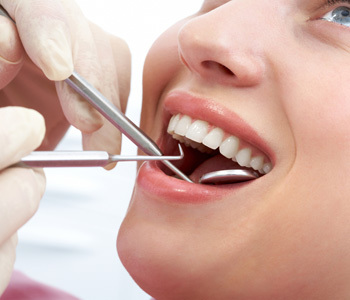 The crowns are placed on existing teeth, positioning the false tooth in the gap. Today, this design is often called “crown and bridge work” to differentiate it from a newer type of bridge. An implant-supported bridge consists of several false teeth in a single unit. It is customized depending on the number and location of the patient’s missing teeth. The unit is attached to two or more dental implants, which have been surgically placed in the bone. Implant technology, like many other areas of dentistry, has advanced dramatically in recent years. Even if you were previously told that you weren’t a candidate, you could be now! With many different sizes, shapes, and styles of implants available, we can provide more customized treatment. For example, smaller implants may be used when there is not enough bone tissue for standard-sized ones. Additionally, bone augmentation procedures can help build up bone tissue, providing a strong foundation for implants. Any surgical or invasive procedure carries risks. We will discuss the risks of an implant-supported bridge and/or bone augmentation during your consultation, as well as examine your health to ensure you are a suitable candidate. Before proceeding, you should seek a second opinion from an appropriately qualified health practitioner. For more information or to schedule an appointment, please call our Sunbury office at 03 8001 6021 or our Moonee Ponds office at 03 8400 4104.